Öræfajökull is Iceland's largest active volcano. Located at the south-east end of the Vatnajökull icecap, it is a stratovolcano due to its cone-like shape, and is believed to be the second largest of its type in Europe (after Mt. Etna). 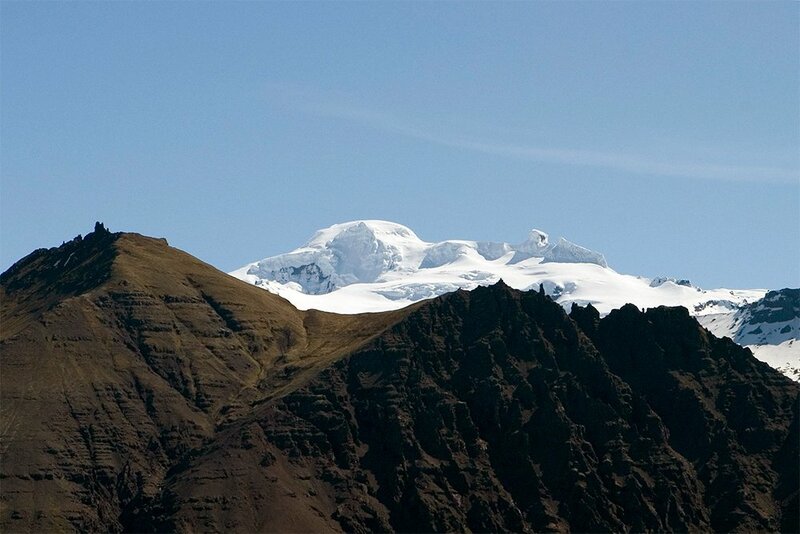 On its north-western rim is Hvannadalshnúkur, the highest peak in Iceland at 2110 metres. The volcano has erupted twice in recorded history, once in 1362 and again in 1727. The aftermath of the initial eruption was particularly catastrophic and brought devastating floods which swept away a number of farms along the coast. The second eruption caused an ash fall so great that it became difficult to distinguish between night and day, yet the aftermath caused fewer tragedies.